We've partnered with Clairol to help you choose your best hair color yet. There's nothing quite as transformative as changing your hair color. Whether you're a brunette itching to add some warm tones or you have light hair and are curious about life on the other side, coloring your hair is one of the quickest ways to take on a completely new persona. And the best part is that it doesn't have to happen at a salon. So long as you're armed with the right tools and information, you can achieve natural-looking color right at home. Up ahead, we interviewed Clairol's Senior Scientist and Educator Carin Freidag for the full scoop on finding your most flattering hair color. Before you start, the first thing you want to do is understand your hair. "Unless you have gray hair, everyone has contributing red pigment in their hair," Freidag said. "If you don't want to see red, try a shade that says ash or cool. If you like red, choose any other warm or neutral shade." Permanent color can lighten and make dramatic changes. It will completely cover gray. If you choose semipermanent, it offers more conditioning to your hair than permanent, however, you cannot lighten with semi. It can add tones and dimensions. "For the best result, stay within two levels of natural hair color. So if you're medium brown, don't choose anything lighter than dark blond." The general rule of thumb is the fairer your skin, the lighter you can go with your hair. To determine which shade is right for you, first determine whether your skin tone is warm or cool. That's often hard for people to tell, though. It's helpful to look at your veins for guidance. Flip your arm over and take a look. "Skin tone is driven by heredity. If your veins look blueish, then you tend to have cool skin tone. If they tend to look greenish, you tend to have warmer skin tone," Freidag explained. "Now choose a shade closest to your skin tone. So if you have cool skin, you use a cool or ash; if warm skin tone, you should use a gold or caramel color." Still unsure? Choose a neutral shade as it's flattering on everyone. If you have brown eyes with yellow to them: This means warmer skin tone, so use a warmer shade. 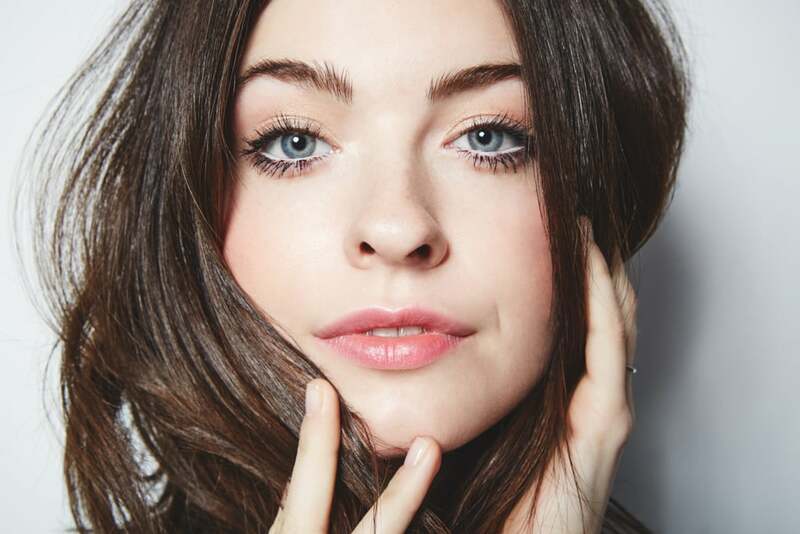 If you have icy blue eyes: You probably have cool skin tone; go with ash and cool color shades. If you have green or hazel eyes: You can go either way. If you're still feeling like you want more guidance, consider using the MyShade app, which is a personalized consultation tool that provides you with personal color recommendations (more details on the app below). Introducing the first-ever hair color try-on app from Clairol. 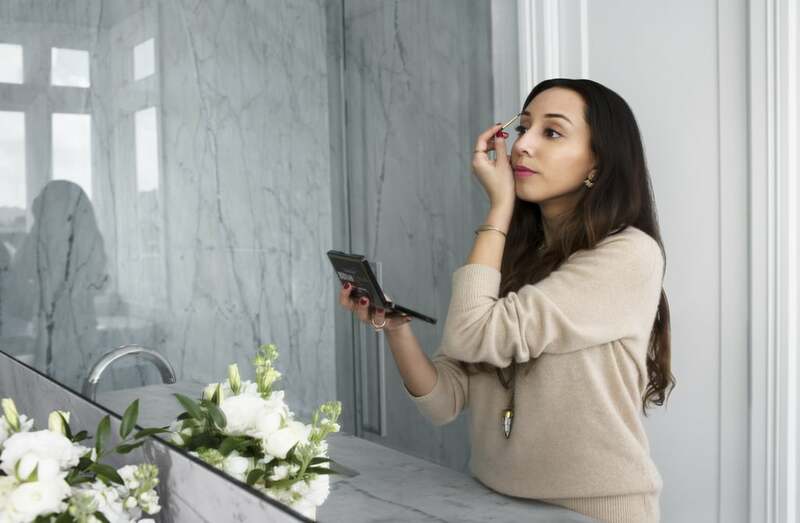 It lets you virtually try on any shade before you buy. 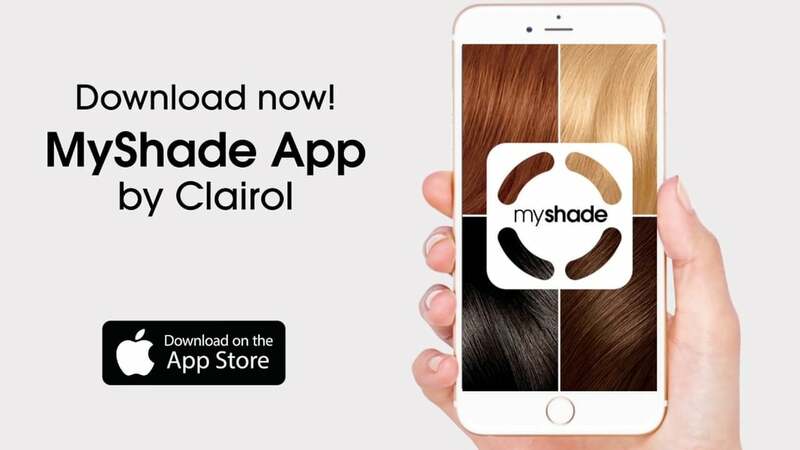 Download the Clairol MyShade app today, available on Apple iTunes and Google Play Store.